New Delhi: With the best of Fashion and lifestyle this exclusive exhibition was conceptualized and founded by Ramola Bachchan in October 2012. This is the 21st edition of Runway Rising with all merchandise below INR 25,000. With Over 130 designers offering various merchandise like footwear, accessories, and clothes: there is something for everyone! If you’re looking for accessories to match your Diwali outfit or the perfect outfit for your next date, or that suit you need for the next shaadi and most definitely for all your Diwali card parties you have to head straight to Runway Rising on the 10thof October. With accessories starting from INR 2000, there is jewelry, jootis, bags, and gifting options for the upcoming festival season. Everything and anything you will need this Diwali will be available under one roof! 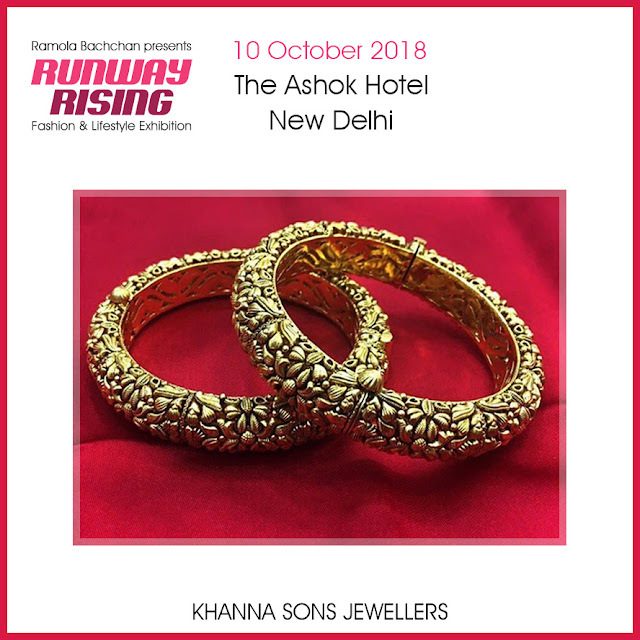 This edition of Runway Rising is a pre Diwali pocket friendly exhibition and serves a varied palate in terms of designs, options and price range. What’s more? The entry to this exhibition is absolutely free! 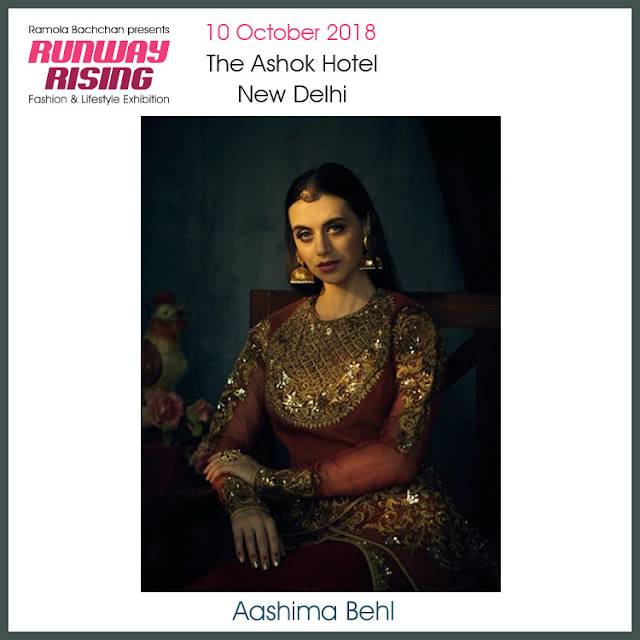 “Delighted to introduce the Diwali edition of Runway Rising 2018 where we have an exciting collection of fresh new designers and well as all your favorites to help you get ready for the party season at affordable prices” says the curator Ramola Bachchan. 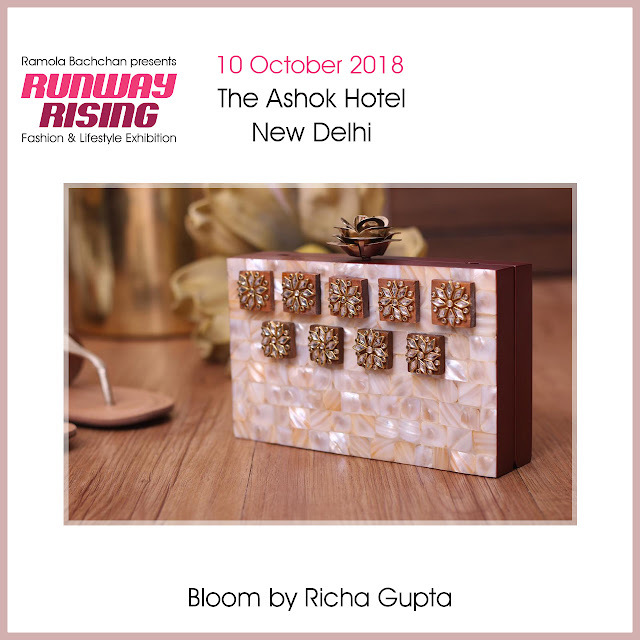 The exhibition will be held on Wednesday, October 10th, 2018 at The Ashok Hotel, Chanakyapuri, New Delhi, featuring designers Khanna and Sons Jewellery, Sid N Vani, Gagan and Sonali, Devasya, Illuminate, Fashion Jewels, The Pink Mirror, Drapes by Mona, Ananta Mumbai, Prayaas, Divishi and Ambrish Damani.